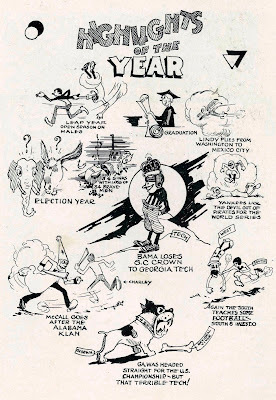 From the 1928 University of Alabama yearbook. 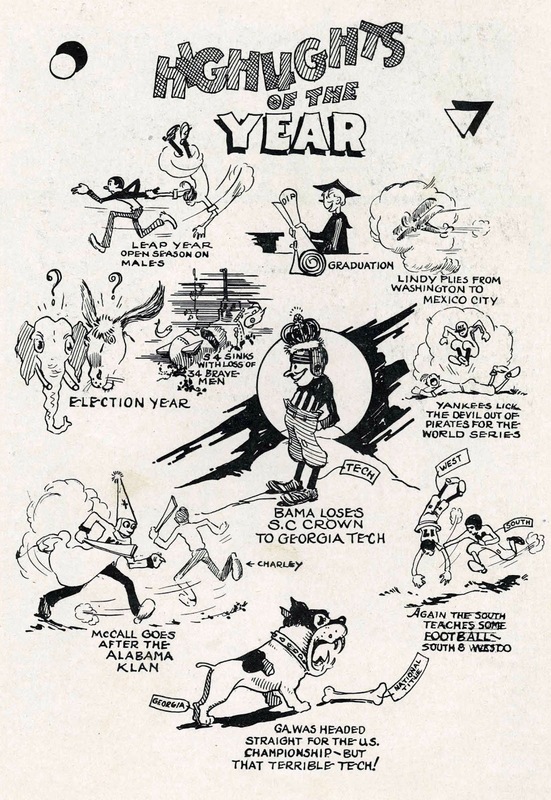 The Crimson Tide football team went 5-4-1 in the 1927 season, ceding the Southern Conference Crown to Georgia Tech who went on to an undefeated season, a victory in the 1929 Rose Bowl and the National Championship. The cartoon also references Charles Lindberg's flight across Latin America, the sinking of the USS S-4 Submarine off Provincetown, Mass., the presidential election pitting Republican Herbert Hoover against Democrat Al Smith and Alabama Attorney General Charles McCall's attack on the Ku Klux Klan in the state.